Welcome to Dubai Travel Guide! Dubai is one of the seven emirates comprising the United Arab Emirates (U.A.E. ), which is located on the Persian Gulf. Unlike its neighboring cities and emirates, its economy is largely bolstered by the tourism and the free zone industries. Income from oil represents only a small portion of the emirate's revenues. 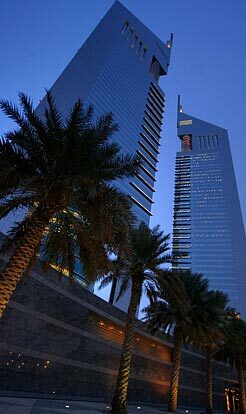 Dubai is primarily known as the premier tourist destination in the region. This is complemented by the bustling port industry of Jebel Ali, which boasts of the world's largest man-made harbor. In essence, the city is innovation at its very finest. Other Emirates are dependent on oil reserves for their revenue, but these days, Dubai has been getting much hype and income from tourist attractions brought about by their massive infrastructures, real estates, breaking of Guinness records and sports-related activities. Indeed, they have somehow broken out of the rigid molds of the reserved reputation of the region that they belong in. However, as in every country, Dubai also has its share of good travel spots to which most people can unwind and settle down for the time being, most of which are not given much emphasis due to the moniker that this country has had as far as the working laborer is concerned. Dubai Info: Navigate on the top for the main categories, or use the photo menu below to read intresting Dubai travel articles and guides about Dubai. Explore this beautiful city, and its attractions online with our Dubai travel guide.